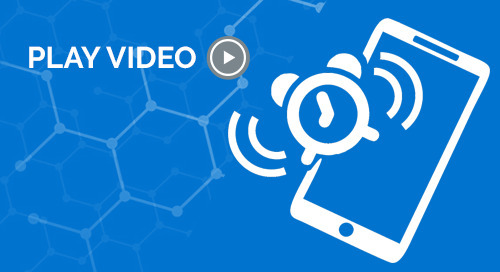 Welcome to the PharmaVOICE Webcast Network. In this episode, I meet with Katie Garner, Advisor Therapeutic Areas at CRF Health. 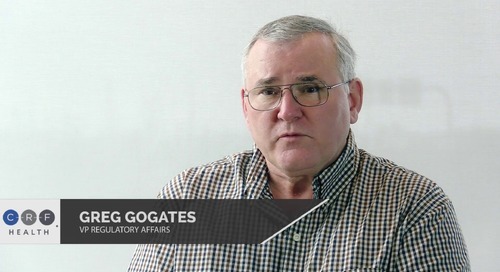 We talk about the challenges of oncology clinical trials and the benefits of implementing eCOA. At the end of this podcast, I’ll also be telling you about the related eBook which you can download. I’m Dan Limbach, your host and producer of the PharmaVOICE Webcast Network. Welcome to the podcast program, Katie. It’s my pleasure. Katie, are clinical study teams actively listening to patients along their cancer journey during a clinical trial? I think in a traditional clinical trial, it can be really difficult where patient-reported outcomes, patient data is reported on paper. It can be really difficult to listen to the patient. And listening to the patient, quite rightly, is what we should be doing, it’s taking on more importance, and people are really focusing on it more than they have possibly done in the past. In fact, the American Society of Clinical Oncology, in 2016, they reported that the FDA said that PROs, or patient-reported outcomes, can be the basis of full drug approval. And PROs are really invaluable, they can help us measure: number one, quality of life; number two, timed pain progression; and number three, worsening symptoms. And all of those aspects are really important in oncology. But the flaws in collecting that kind of information traditionally on paper are that the patient is only seeing perhaps once a month or every other month. And there’s an opportunity there, you are only listening to that patient one at that only one point in time. And then, another challenge is that you don’t know when the data is being completed, or by whom. Is the patient completing their data once a day or are they actually saving it all up and remembering, trying to remember, what is that happened to them during the week. We do have quite a lot of evidence that patients do batch report. Another difficulty with paper is that site visits can be very busy, and it can be hard to concentrate on the patient. 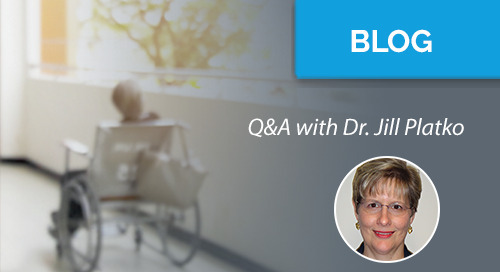 In fact, sites are often so burdened that they’re focusing on the process of the visit rather than the patient. So that’s just some of the challenges we have with listening to the patient with traditional methods. Well those are definitely some interesting challenges. 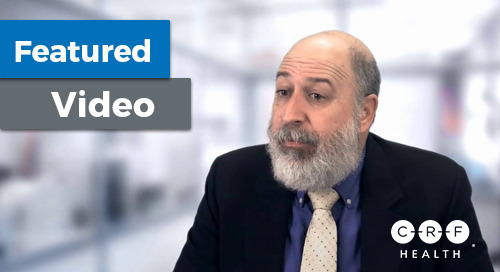 What do you think can be done to address these challenges in oncology trials? The implementation of an electronic data collection system is really really helpful, because the patient data is collected electronically, it’s faster, it can be intuitive, and it can give the patient reminders. And that decreases the burden, it gives cleaner and more complete data. And the patients can collect that data on a smartphone or via tablet on web app, and now some sponsors are also starting to embrace bring your own device, or BYOD. The thing with using those kinds of technologies is that it enables audio and visual features, and we can have less text per page, that’s much easier for patients to digest. And, I think most importantly, it allows patients to be monitored throughout the trial, not just at the visit. So action can be taken when necessary. And it’s just a much more patient-centric approach. Very good. So now that we’ve talked through the challenges, can you walk me through the main benefits of using eCOA over paper in oncology studies? 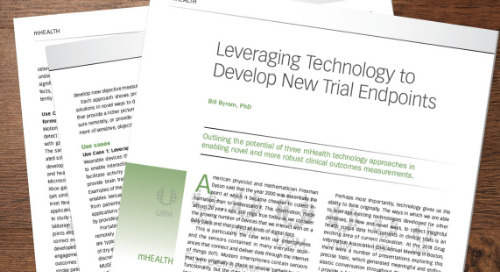 I think quite simply there are three big benefits, number one being that it involves less work for trial sites; number two, that it improves data quality; and number three, it decreases the burden on subjects. Okay. So your first point was about streamlining efficiency for sites. Can you expand on that? Yeah, as I mentioned earlier, the sites have got a lot to do, and the visits, especially in oncology, can be really complex. So I’d say the four main activities that can be burdensome for sites: it’s the actual data, the complexity of the visit schedule, collecting concomitant medication data, and adverse event oversight. 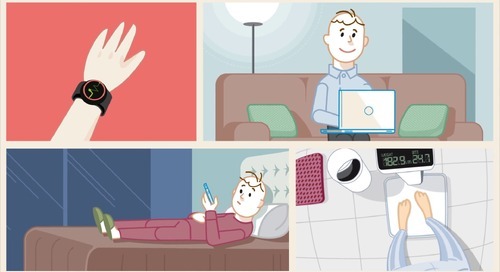 But with an eCOA system, you can streamline those things. So you’ve already got the data, it’s in the trial database. The site doesn’t have to transcribe or, perhaps more complicated, decipher what the patients have said. The data is received, so the focus is on the patient at the visit. And then, with the visit schedules, at the visit the patient will have to complete different assessments. And an eCOA system can guide the site and the patient through the visit by presenting the right assessment at the right time, and that can be quite tricky to keep track of otherwise. And in terms of the concomitant medication, or ConMeds, traditionally these are collected on paper. So at the site visit the clinician might ask the patient what medications have you taken during the past month or so. And the patient tries to remember. And of course that isn't as efficient as having the patient record that information as they go along in an electronic system. And the reason why they collect that information is so that the sponsor can try to differentiate between the effect of their study medication and the effect of any other kind of medication that the patient is taking to manage their symptoms. Another thing I mentioned there is the difficulty of adverse event oversight. 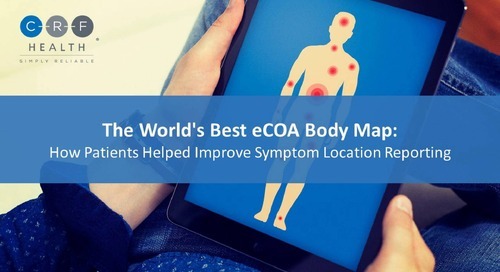 It can be burdensome for sites, but eCOA can help by recording the patient symptoms and then flagging and assessing symptoms or events that fit the adverse event criteria. So as you can see, sites do have quite lot to do, and all of this is much much more easily managed with an eCOA system. That’s good news. The second benefit you mentioned was about improving data quality. Tell me more about that. 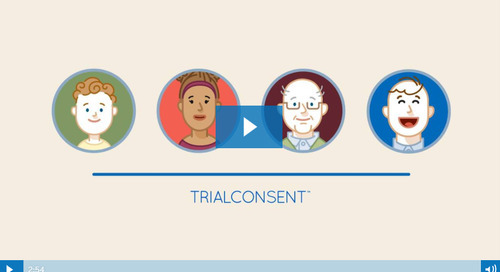 Yeah, so eCOA allows the subject, the patients, to be prompted, and they can be prompted and reminded to enter the right data at the right time, and not after the event. And of course, recording information at the right time increases the accuracy. So, having a reminder alert will increase the chances of having a complete data set. 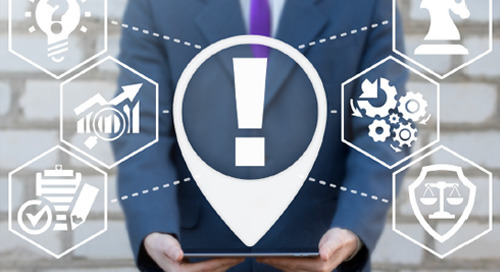 And another advantage is that the site, because it’s receiving the data all the time, if there is any missing data, they can contact subjects and they can encourage reporting or resolve any issues as they come up, and not waiting. So I think making the process easier on sites and patients inevitably leads to cleaner data and an improvement in data quality. Excellent. Thirdly, you mentioned reducing burden on subjects. Can you expand on that as well? Yeah. Electronic data collection, a very intuitive system, actually leads the patient through the data collection activity. And that’s far less burdensome than paper and pen. It takes less time. It takes less brain power, which is always handy. And it’s physically easier to tap on a screen than to use pen and paper. And the other thing is that if we are entering data at home and allow patients to do that, it decreases the necessity of having so many visits, and the time and the effort that involves. And this is really important and useful in oncology particularly because patients can be really sick. And all in all I think anything that reduces the site and patient burden, and increases data quality, that’s quite a compelling proposition. It’s not really surprising that there’s been a big industry shift towards electronic data collection in the last few years. I want to go a little deeper into subject burden. 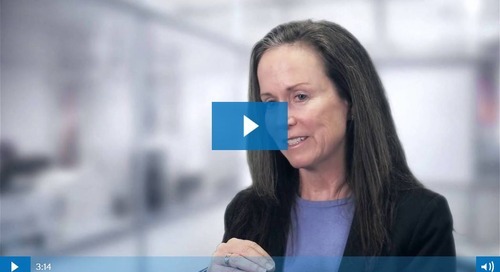 Considering cancer patients may be very sick, how does eCOA help them? Oncology patents can be really sick from their illness, but also from the side effects of the treatment they’re receiving. So they may come to a site visit and then not feel well enough to complete it. And it’s very easy for them to take a break in data collection or to reschedule a visit if there is an electronic visit scheduling tool. 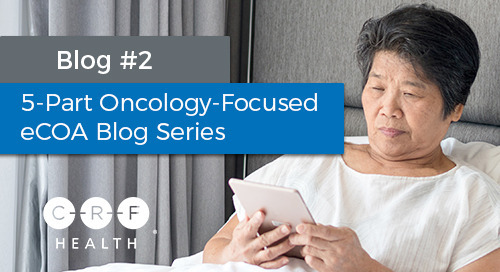 And then if they’re at home—because usually with oncology studies, there’s a split between data collection at home and at the site—if they’re at home, they’re collecting data electronically, they can easily take a break from that and come back to it. Or if there’s a data window in which they have to provide data, that can be extended. So it gives flexibility in the data collection, which is a bit more unique to electronic data collection and more controlled than it would be with paper. 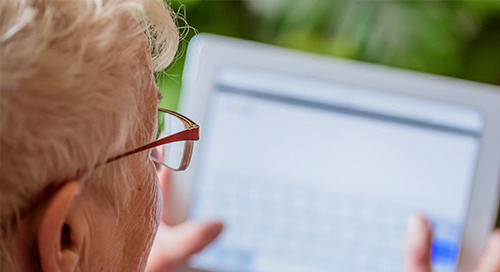 A further option that there is for very sick patients is to allow a caregiver option, whereby a caregiver can complete data on a patient’s behalf. 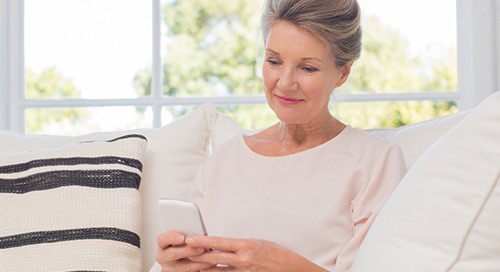 A caregiver can be given login details and a PIN so that when that data is supplied, you know exactly where it’s coming from, it’s attributable. And I think this benefit, about reducing patient burden, is particularly important in oncology because of the sickness the the patients might be experiencing. Excellent. So let’s get to the bottom line. Considering all of the benefits and challenges in oncology trials, does eCOA improve subject compliance compared to paper? I think it hugely improves compliance because it’s engaging, it’s quicker, you’ve got reminders there, so inevitably compliance is higher. At CRF Health, as a company, we have done 100 oncology studies out of a totally of 800. And we recently done a research project where we found that we had 85% compliance with data collection in oncology studies. And that’s not possible to achieve those statistics with paper. In some ways the benefits, it sounds like a no-brainer really, and I think it is. But people, sponsors, can still be concerned about the cost. There is an assumption still in the industry that paper is free. But it actually carries with it a lot of hidden costs. There’s the administration, the control, have you got the right version of an assessment, is the assessment even available, is it on the clinician’s desk at the right time. And what do you do about missing data and poor compliance, there’s no process checks in there really. But with eCOA, what you get, you get a data collection box ticked, but you also get a huge improvement in data quality, and what is really interesting to me is those opportunities for engaging with the patient. Well that was certainly some compelling data. Thank you for sharing it. Now I’d like to ask you to look into your crystal ball. What dos the future hold for oncology trials? My crystal ball, I think the next five years will see a lot more oncology trials, so an increased number. And there’ll be more eCOA, that brings with it more and better data. And I think there’ll be a move—which has already started—towards more patient-centric trials. 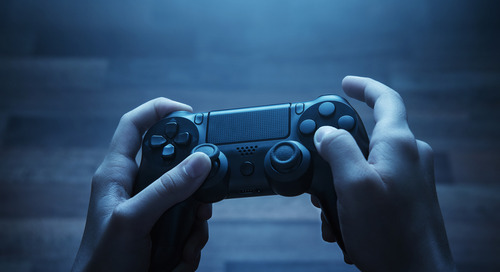 And we’ll see more virtual trials, and not just whole virtual trials but perhaps before that we’ll see more virtual visits, and with that, more use of digital technology. Making use of electronic technology in clinical research, especially in oncology, really is the key I think to hearing the patient’s voice. And it offers opportunities for everybody in the trial—the patients, sponsors, sites, and although it might sound a little bit corny, but our goal, what we’re here for, is trying to get those medicines to the market faster, and to benefit patients. And that’s what we’re here for really, that’s what we’re doing. I couldn’t agree more. Katie, I want to thank you for sharing your thought leadership and expertise with us today. And that does it for this episode. For more information on this topic, download the eBook, Reducing the Burden of Data Collection in Oncology Trials. And don’t forget to check out our other podcasts, white papers, webinars, videos, case studies, and more at PharmaVOICE.com. Until next time, I’m Dan Limbach. This 2018 production is the property of PharmaLinx LLC. It may be shared freely in its entirety but may not be edited or altered from this published form. 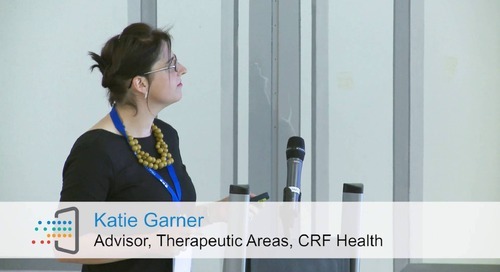 Katie Garner is Therapeutic Areas Advisor at CRF Health. She is responsible for providing specific therapeutic advice and supporting the therapeutic, sales, marketing and product development teams. Previously, Katie worked as a Project Manager for a Health Outcomes Consultancy and at the NHS Purchasing and Supply Agencies Centre for evidence-based purchasing. She also worked for the Medicine and Healthcare Products Regulatory Agency as a Senior Medical Device Specialist where she was responsible for the safety and regulation of in vitro diagnostic and contraceptive medical devices.